When I set off for a one year trip around the world after college, I put Ecuador on the list, because it was on the way, rather than because it was a destination that had caught my attention. It turns out Ecuador was one of the highlights of my trip. For me, it was the perfect country to explore. Small yet diverse, you could be in a few hours on top of a volcano, on a sandy beach, deep in the Amazonian forest or in the dynamic capital of Quito. 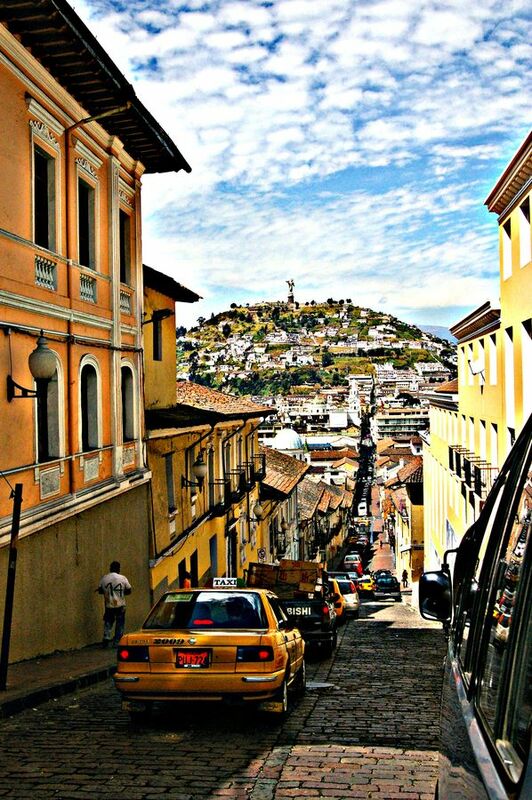 Quito has been on the UNESCO World Heritage list since 1978, and it is a city that has two different parts. Old Quito is the colonial town, founded in the 16th century on the ruins of an Inca city, and modern Quito, with its ample streets and sky high buildings. While the old town is fascinating, the modern part of the city will offer you quality hotels, fine dining and lots of bars and clubs if you are looking for nightlife. Quito it at 2,850 meters over sea level, so you will want to take it easy on the first couple of days, so your body gets used to the heights. Get some rest and drink plenty of water. Quito’s center is one of the best preserved of Latin America, in spite of having been hit by an earthquake in 1917. The heart of the old town is the Plaza de la Independencia, where the government’s Palace can be found, as well as the Cathedral. Sights include the monasteries of San Francisco and Santo Domingo, the church of La Compañía, and the Panecillo, a picturesque hill crowned by a statue of the Virgin Alada, the patron of Quito. You can get up there to admire gorgeous views of the city. Quito was built on the slopes of a volcano, and from its streets you can also see a few, like the Chimborazo, the highest volcano in the world (6,310m high) and the huge Cotopaxi volcano at 4,800m, which is still active. Another interesting sight, about 15 kilometers away from the city is “La mitad del mundo”, the half of the world. The place where the Ecuador line cuts the Earth in half, at latitude 0-0’-0’’. You can have a foot on the Northern Hemisphere and one foot on the Southern! Quito is also an easy destination, as the country uses the American dollar, exchanging money at home before you leave is much easier, and the exchange rate is roughly $1.50 for a pound. Quito is an affordable city, you can travel for about half the price of your usual European holiday budget. The climate is pleasant, with average temperatures in the mid 20s, and cooler nights around 10 degrees, so pack a sweater too. People are friendly and will make an effort to answer back and speak slowly if you try to speak Spanish, although English is also quite widely spoken in the capital. Trying to at least say a few words of greetings and gratitude will make for a more memorable exchange with locals.